Police Commissioner Roni Roni Alsheikh is expected to meet Thursday evening in Tel Aviv with leaders of the Ethiopian community in an effort to calm tension which ensued following his controversial statements made Tuesday. During an Israel Bar Association (IBA) conference, Alsheikh told listeners that it was “natural” for police to suspect someone of Ethiopian descent more than somebody from a different ethnic background. However, it is not yet clear whether anybody will actually show up to the meeting in light of Alsheikh’s persistent refusal to apologize for his remarks. Indeed, a large number of those asked to attend have already declined the invitation. “I don’t see the point in meeting with the police commissioner until he understands the consequences of his words. I am one of the people who think that he doesn’t need to be fired but he tarnished us all with the same brush,” said former Yesh Atid MK Pnina Tamano-Shata. “The commissioner has to understand that we are not new immigrants and it is time to change the discourse,” she added. “I asked the police commissioner to apologize to the community during a personal conversation that he had with me and I told him that if he says sorry then the story will be put behind us. But instead of doing so, the commissioner said to me that his words had been taken out of context,” said Asfa-Duyet. Alsheikh did undertake efforts to minimize the damage caused by his words by calling a number of activists from the Ethiopian community to clarify his words. However, remained adamant that no apology would be forthcoming. An individual close to Alsheikh came to his defense Wednesday night: “It seems to me that someone was looking to cause trouble for the commissioner at the IBA conference and tried to cause a storm,” he said. Municipality announces Shevah Mofet will stop accepting students from outside the city to make room for students from southern Tel Aviv—mostly children of asylum seekers; Netanyahu objects to turning the school into 'educational institution for infiltrators,' leading to exchange of accusations. 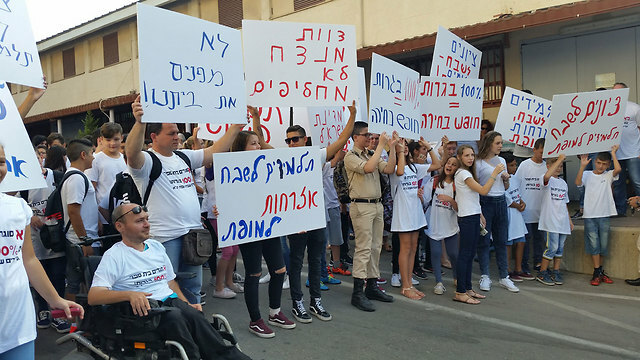 The school year began on Thursday morning with a protest at the Shevah Mofet high school in Tel Aviv against plans to turn it into an educational facility for asylum seekers, a decision that also led to a clash between Prime Minister Benjamin Netanyahu and Tel Aviv Mayor Ron Huldai. The Tel Aviv municipality announced last week that starting the next school year, the school, with 75% of its students coming from outside Tel Aviv, will stop accepting students who are not residents of the city. This will be done to make room for students who live in southern Tel Aviv—most of them children of asylum seekers and illegal migrants—to attend the school. The school's students and teachers decided to protest the decision, calling out "You don't close a school with 100 percent graduation rates." They waved signs that said: "We won't evacuate our home" and "Don't replace a winning team." The protest ended at 10am, allowing classes to begin. "There is a bad atmosphere, but on the other hand we also know how to put this aside and begin the school year," said Max Sivan, the principal of Shevah Mofet. "This isn't just a school. There's a culture here, a long history, including a history of international achievements. This needs to be protected, this is a national asset. It's not just another school. I'm willing to take in any student, but don't ruin what we have." On Wednesday, Prime Minister Netanyahu expressed his objection to turning the school into "an educational institution for infiltrators," supporting the position of Defense Minister Avigdor Lieberman. This angered Tel Aviv Mayor Huldai, who responded with a harsh statement. "Unfortunately, despite the Tel Aviv-Jaffa municipality's requests to the prime minister, he chooses to release messages like a common internet commentator, instead of dealing with the problem of foreigners that he himself was among those responsible for," he said. The Prime Minister's Office responded to this, saying "The Tel Aviv mayor and municipality need to be ashamed of the of the fact such an excellent educational institution is set to close, and for the inappropriate language of their statement. Thanks to the prime minister's policy, over 20,000 infiltrators willingly left Israel over the past decade. The prime minister will continue with this policy." The Tel Aviv municipality responded to that, by saying "it was him (Huldai) who nurtured Shevah Mofet, as a way to help the immigrant population—and this he had done without help from the government. "Huldai believes a different place can be found so Shevah Mofet can continue its praiseworthy activity, and there has already been a request made to the Education Ministry and the Amal school chain on the matter. Such a solution will not come to be on Facebook, and that was the reason for the mayor's harsh response. "The municipality understands the parents' concerns, but the school is not going to close its doors in the coming years anyway, and all students currently attending it could graduate. There is also no objection to having the school continue its operations from another location." 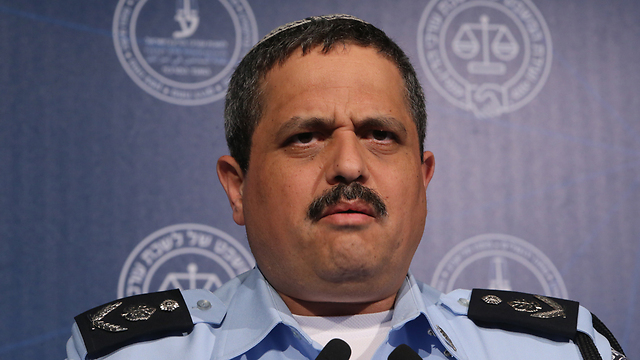 A close confidant of Huldai accused Netanyahu of "not even knowing the facts. We don't know where the 20,000 infiltrators that left thanks to the prime minister's policies left from—certainly not from Tel Aviv." Culture Minister Miri Regev, of Netanyahu's Likud party, decided to join in on the exchange of accusations, opining that "Huldai has abandoned the neighborhood and its residents." Education Minister Naftali Bennett sided with Huldai, telling Ynet on Thursday morning that "It's important to clarify that there is no demographic change at the school at the moment. There are certain intentions or ideas from the municipality in that regard. The goal we all stive for is to keep Shevah Mofet running in the same way as it has been so far. On the other hand, we're obligated to follow the law and provide education." Elvyra Kolihman, a member of the school's parents' committee, explained the decision to hold their protest on the first day of school. "We want to stress that until the mayor sits with us and we reach an agreement that the school won't change in the coming years—the fight will continue. This is a fight for the future of the school. We want to ensure that every child in the State of Israel that wants to go to this school—and feels like this is the best education—could do so. This is an excellent school that must not be closed or change its way of operations. The prime minister made it clear that the best solution is to leave the school as it is, and that's what should happen." Students also took part in the protest. "We're protesting because we don't want them to change our school," says Itay Morbiya, who is starting his final year of high school. "I want my brothers to have the same education I had, with teachers who don't give up on you. I have friends who come here from Ashkelon and Ariel because they want to succeed; they want a good high school diploma. We shouldn't ruin this." On Wednesday night, dozens of protesters arrived in south Tel Aviv to demonstrate against Huldai, calling him a "traitor" and carrying signs with his photo and the writing "Criminal." The protesters eventually took to burning photos of the mayor. On Thursday morning, the CEO of the Ort school chain Tzvi Peleg turned to the head of the Tel Aviv municipality's Education Department, Shirley Rimon, suggesting a framework for Ort to take in asylum seekers' children this year. "Ort Israel believes in giving equal opportunities in education to every child in Israel," Peleg said. "We're prepared to take in these students." Israeli authorities must ensure that the trial of a detained humanitarian worker employed by the charity “World Vision” is fair and open, said Amnesty International on the eve of his trial, amid reports that the proceedings are due to take place in secret. The lawyer is prevented from disclosing the details of that allegation, as well as many other elements of the case, by a set of severe restrictions imposed by the Israeli authorities on reporting around the case. “Secret trials are the most flagrant violation of the right to a public hearing. Holding these court proceedings behind closed doors would render any convictions obtained unsound,” said Magdalena Mughrabi, Deputy Director of the Middle East and North Africa Programme at Amnesty International. According to international standards, trials can be held in secret only in exceptional circumstances. While grounds of national security may exceptionally justify closing some or all of a trial, the Israeli authorities have not put forward a case to explain why such conditions are necessary for this trial. 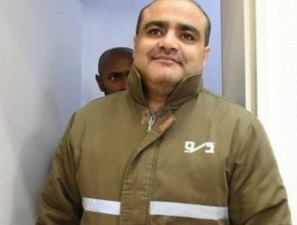 Israel’s security agency arrested Mohammed al-Halabi on the 15th of June, at the Erez crossing between Israel and occupied Gaza, while he was on his way back to his home in Gaza from a meeting at World Vision’s office in Jerusalem. He was transferred to a detention centre at Ashkelon, Israel, where he was interrogated before being moved to Nafcha prison, in the Negev desert. He was not permitted to see a lawyer until July 6th, three weeks after his arrest, and therefore faced intensive interrogations without legal representation. He was not charged with a crime until 4 August, more than seven weeks after his arrest. It has also been reported in the media that he was severely beaten and his ‘confession’ to stealing 7.4 million USD a year was obtained under duress. This appears to be a dubiously high figure, given that according to World Vision, Mohammed al-Halabi and other managers in his position only have the authority to authorize spending up to a maximum of 15,000 USD of the budget at a time and the organization’s total Gaza budget for the last decade was approximately 22.5 million USD. “The Israeli authorities must immediately investigate the allegations that Mohammed al-Halabi was mistreated in custody and may have been forced into ‘confessing’ under duress. Any evidence obtained through torture, or other cruel, inhuman or degrading treatment must be excluded from proceedings. Without independent and impartial investigations into these allegations the trial risks being fundamentally flawed,” said Magdalena Mughrabi. Between 2001 and 2016 the Israel Security Agency has been named in almost 1,000 complaints of torture and other ill-treatment, but no criminal investigations have been opened. Amnesty International has also learned that Israeli authorities have imposed severe reporting restrictions on Mohammed al-Halabi’s case. His lawyer said that the restrictions were exponentially more severe than any she had seen in her more than forty years of experience. Israeli authorities have also made a number of statements that risk prejudicing the course of justice. For example, a Ministry of Foreign Affairs statement treated as fact the allegations that Mohammed al-Halabi is a member of Hamas, and stole 7.4 million USD a year. “The Israeli authorities must cease all statements that could prejudice the outcome of the trial. Reporting allegations as fact is a violation of the presumption of innocence,” said Magdalena Mughrabi. Mohammed al-Halabi has worked for World Vision since 2005 and was promoted to head of its operations in the Gaza Strip in 2014. World Vision has launched an independent investigation into the allegations and suspended its humanitarian work in Gaza following his arrest. Several governments have announced the suspension of their funding to World Vision’s projects in the Occupied Palestinian Territories pending the outcome of the investigation. Since 2007, Israeli forces have maintained an air, sea and land blockade of the Gaza Strip, which has severely restricted the movement of goods and people into and out of Gaza, and amounts to collective punishment. Egypt has also largely kept shut the border crossing in Rafah in recent years. The blockade and a series of armed conflicts between Israel and Palestinian armed groups in the last decade have left nearly 80 percent of Gaza’s population dependent on international humanitarian aid. “The welfare of most of the civilian population in Gaza depends on effective delivery of humanitarian assistance. It is crucial that this case does not in any way impact the ability of humanitarian and development organizations such as World Vision to be able to carry out their vital work free from arbitrary restrictions, harassment or intimidation,” said Magdalena Mughrabi. Leading activists from the Ethiopian community and the opposition sharply criticized Police Commissioner Roni Alsheikh over comments made about police "naturally" suspecting Ethiopians more. Many demanded his removal and said his words "prove that the police are dangerous to the (Ethiopian) community." At a meeting of the Israel Bar Association, Commissioner Alsheikh said, "Studies have shown that immigrants are more involved in crime," and therefore "it is natural that (police) suspect them more." The Police Commissioner then sought to clarify his words, with the police announcing that "the commissioner candidly admitted that after a thorough self-examination, we discovered that there is indeed over-policing with regard to members of the Ethiopian community and the Israel Police. Let there be no doubt, the statements made by the commissioner were not intended to harm Ethiopian Israelis, but were made out of candor in order to improve the relations between officers within the organization." Earlier this month, a ministerial committee approved a series of 12 recommendations in order to promote the integration of Ethiopian immigrants and to strengthen the community's trust in the police. This is due to the allegations and findings which point to over-policing against Ethiopian youth, including figures demonstrating that more than 30% of prisoners in jail are Ethiopian minors. Gadi Yavrakan, one of the more prominent activists in the Ethiopian community said, "this isn't a particularly smart police commissioner because he openly stated that Israel is a racist state. We are not migrant workers, we are Jews who returned to our homeland after a 2,500 year exile. Now it is obvious why the police who killed Yosef Salamsa were not brought to trial, when there is a police commissioner who 'understands' why police tend to use violence against blacks and Arabs." Social activist Avi Yalu, a member of the ministerial team to eradicate racism, said, "These are things that should not have been said and he needs to apologize. The officers in the field translate statements like this into racist actions. World views can't be erased in one day. What is outrageous with the commissioner's statement is that according to him, stopping blacks because of the color of their skin is legitimate. There are hundreds of cases against young people just because of profiling. This is a phenomenon that needs to be stopped and not encouraged." Former MK Pnina Tamano-Shata said, "With the commissioner's statements, he is giving a green light to police officers to turn our children into immediate suspects, and from there, into the punching bags of errant, violent policemen. Your children, Commissioner Alsheikh, are no better than mine. Dark-skinned children are not born with criminal genes or are predisposed to criminal activity. Do a thorough internal investigation, and you'll see there are police officers that harass kids and teenagers who are Ethiopian and show them the way to being behind bars. "The commissioner's attempt to clean the police's conscience and rationalize violence by saying 'immigrants are criminals proves that the police are dangerous to blacks in Israel and anyone whose appearance can endanger them." On the other hand, Minister of Internal Security, Gilad Erdan, defended the Police Commissioner, saying that he did not justify the phenomenon of "over-policing" against the Ethiopian community. "In fact, he did the opposite. He boldly said there is such a problem and the police are taking care of it. The commissioner's explanation was not meant to justify over-policing, but rather, to describe the moods of officers that caused them to act wrongly. Any other explanation of the commissioner's statements are not correct and creates distortion." Ami Palmor, the Director General of the Ministry of Justice, who is currently the head of the ministerial team to eradicate racism against Ethiopians, leveled harsh criticism against Alsheikh's statements and said, "The report we've drafted shows the grim reality of institutional racism against Ethiopians. The data conclusively show that these are not people with criminal DNA." The opposition also directed harsh criticism against Alsheikh, with MK Yitzhak Herzog calling the commissioner to clarify and amend his remarks because "it cannot be allowed to happen that someone thinks it is legitimate to be more suspicious of an Ethiopian or an Arab citizen. Any person of standing or influence must work to eradicate racism and profiling of every kind." MK Shelly Yachimovich remarked, "It is sad that instead of fighting against the phenomenon of profiling citizens based on their skin color, the police commissioner is looking for psychological reasons to continue. If you take out Mizrahim, Ethiopians, Arabs and others, then according to the commissioner's definition, there is no one else to suspect. There is no other way to put it. But according to the police commissioner, he himself could be falsely arrested if he were walking around of uniform." Chairman of the Joint List, MK Ayman Odeh, said, "It is not surprising to hear that the commissioner thinks a racist attitude toward the Ethiopian community is natural. The commissioner needs to be reminded that his job is to protect and serve all citizens of the country, not just the white Jewish population." MK Bezalel Smotrich however, saw things differently, saying, "Finally a commissioner brave enough not to ignore the unpleasant reality, recognizes it and acts to correct it for everyone's benefit." The atlas to be used in schools in the Czech Republic will no longer show Jerusalem as the capital of Israel, instead showing it as Tel Aviv. The Czech Ministry of Education acquiesced to the request to remove Jerusalem as the capital of Israel due to pressure from the Palestinian Embassy in the Czech Republic. The atlas, which currently shows Jerusalem as the capital of the Jewish state, is used by middle and high school students all over the Czech Republic. Khaled el-Atrash, the Palestinian Ambassador in Prague, said that he appreciates the Ministry of Education's decision. The ambassador complained after children of Palestinian decent studying in Czech schools showed him that the Atlas both showed and wrote that Jerusalem is the capital of Israel. "This map not only presents something which is unacceptable to Palestinians, but also shows something which goes against international law and is against the official position of the European Union – which includes the Czech Republic," Atrash said. After seeing the atlas, the Palestinian ambassador decided to go to the Czech Foreign Ministry to request its involvement. The issue was then passed on to be dealt with by the Czech Ministry of Education several weeks later. The ambassador then met with Deputy Education Minister Dana Prodikova, and sent a letter to the Education Ministry. As a result, the company which makes the atlas was required to list Israel's capital as Tel Aviv as opposed to Jerusalem, or risk not being commissioned for work with the Education Ministry. "The information in the atlas will be fixed by the coming school year," said Ministry of Education Spokesperson Clara Bila. 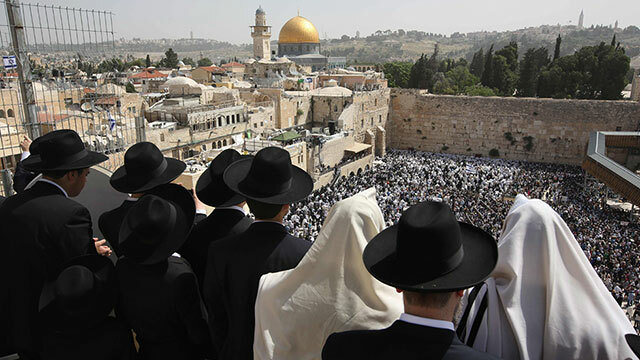 The Czech Foreign Ministry responded, saying "the Foreign Ministry's position on the issue of Jerusalem is clear and coincides with the position of the European Union." Meanwhile, the Foreign Ministry Spokesperson said that the Czech Republic doesn't recognize east Jerusalem as part of Israel. "Shukart (the atlas making company) doesn't represent Prague's official position. Countries within the European Union including the Czech Republic, view Jerusalem as the future capital of two countries – Israel and the future Palestinian state." Shukart publishing director responded by saying that they will be fixing the "mistake" with the atlas. Another publisher – Cartography Publishing – said that its atlas already shows Tel Aviv as the capital of Israel, but also represents the Israeli government's position on the matter on the map. Foreign Ministry Spokesman Emanuel Nachshon responded by saying that "the Foreign Ministry is working with the relevant authorities in the Czech government to cancel this devious order. There is no limit to Palestinian incitement. They are not content with poisoning only the minds of young Palestinians, but also request to sow lies into the minds of the youth of the Czech Republic." 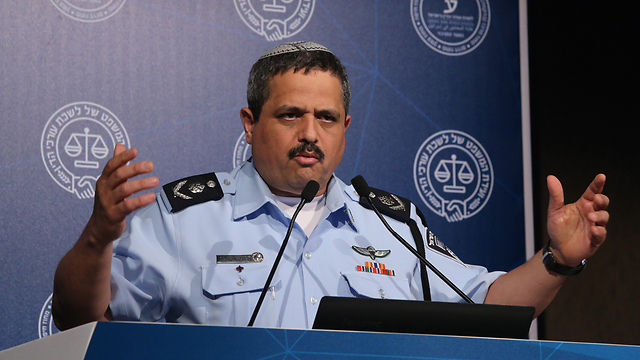 The Israel Police commissioner made the controversial statement at an Israel Bar Association conference Tuesday; 'It has been proven that immigrants are more involved in crime than others,' he said. 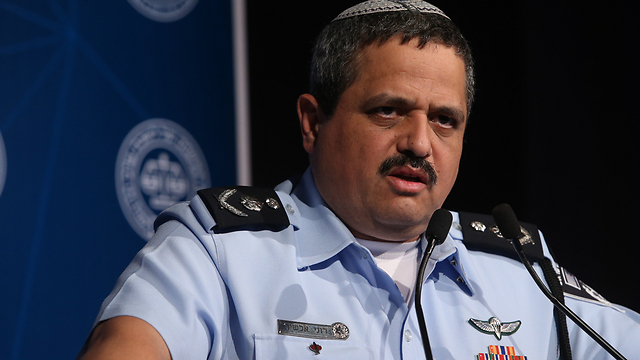 Israel Police Commissioner Roni Alsheikh spoke at an Israel Bar Association (IBA) conference Tuesday, expressing the idea that police officers finding Jewish Israelis of Ethiopian descent and Israeli Arabs more suspicious is to be expected. "When a police officer encounters a suspect, it's natural for his brain to suspect him more than he would have if (the suspect) were someone else, it's natural." Alsheikh said of Ethiopian Israelis and Israeli Arabs. Trying to analyze the perceived phenomenon, the commissioner said, "In all criminological studies worldwide, it has been proven that immigrants are more involved in crime than others, it shouldn't surprise (us). In addition, all studies prove that youths are more involved in crime. When these two are joined together, a situation in which a certain community is involved in criminal activity comes about. This was the case (with all concentrated groups of new immigrants to Israel)." "When theres a community that's more involved in crime, Arabs or East Jerusalem residents as well, and the statistics are (publically available), then when a police officer encounters a suspect, it's natural for his brain to suspect him more than he would have if (the suspect) were someone else, it's natural. We, I believe, have understood this and have begun taking care of this a little late, but there has been a very-very tight plan in place for about a year, (in which we cooperate with) leaders inside the community, whose role is to—among other things—minimize over-policing."